The Global Sisters Report, a project of the National Catholic Reporter recently published this investigative report on the murders of our Sisters Olga Raschietti, Lucia Pulici, and Bernedetta Boggian in Burundi, Africa, September 2014. Editor’s note: The brutal murder of three Xaverian sisters almost two years ago in the tiny central African country of Burundi was shocking even in an area known for violence. A belief that the violent demise of dedicated nuns deserved investigation compelled writer Claire Schaeffer-Duffy to spend hours reviewing documents, interviewing sources and later traveling to Burundi. What she found was a crime still cloaked in mystery and intrigue — yet she also discovered a missionary order’s inspiring commitment to a region and its people. The murders were exceptionally brazen. Xaverian Srs. Olga Raschietti, 83, and Lucia Pulici, 74, were killed on a Sunday afternoon inside their modest convent within a walled and guarded missionary compound in Kamenge, a bustling, impoverished district of Burundi’s beleaguered capital, Bujumbura. The assailants, dressed in choir robes to deflect suspicion, had slipped into the compound hours earlier and hid, then slit the nuns’ throats and bashed their heads with a stone. Sr. Bernardetta Boggian and Fr. Mario Pulcini, regional superior of the Xaverian Fathers, found the bodies that evening, September 7, 2014. If a protocol exists for such a horror, the distraught missionaries followed it, calling the police, notifying the motherhouse in Italy, and communicating with officials who quickly came to the scene of the crime. Pulcini then urged the other sisters, who numbered five that night, not to sleep in their convent; but the women thought such caution excessive given the abundance of police on patrol outside the compound. Someone returned in the early hours of Monday morning, somehow gaining access to the convent. Whoever it was entered Boggian’s room, which was the only one left unlocked, and beheaded the 79-year-old sister. The murders horrified Burundi, an impoverished, Catholic majority state in the Great Lakes Region of Central Africa. Ironically, the killing of frail, apolitical, Italian nuns became a political problem for President Pierre Nkurunziza as he struggled to hold onto power. Sensational allegations aired on a popular radio station linking the crime to a member of his inner circle, and separately, even to a Xaverian priest. For the Xaverian community, the slayings were an incomprehensible anguish, even though violent deaths are not unknown to this Italian order of men and women named after the intrepid Jesuit missionary, St. Francis Xavier. Since 1964 when the order first came to the area, four Xaverian priests, one Xaverian brother and a lay woman have been fatally shot while serving in the tumultuous Great Lakes Region. Srs. Raschietti, Pulici and Boggian were the first Xaverian sisters to be killed. Their murders remain unsolved. An initial push for an independent investigation receded amid turmoil over Nkurunziza’s controversial pursuit of a third term in office. The political crisis has left hundreds of Burundians dead over the past 16 months, and sent tens of thousands fleeing across the border. Like so many acts of violence here, the nuns’ story seemed destined to become another buried trauma, denied a full accounting. That marriage deepened earlier this year when the Xaverian convent, uninhabited since the murders, opened its doors as a Chapel of Peace and Mercy. The reclamation of a gruesome crime scene as a house of prayer adds a hope-filled chapter to an extraordinary tale of missionaries reckoning with the brutal killings of beloved nuns. Burundi is a small, geographically beautiful country bordered by Tanzania, Rwanda and the Democratic Republic of Congo (DRC). A former monarchy, Burundi endured German, then Belgian rule during the first half of the 20th century. Fatal struggles for power-sharing between its Hutu majority and politically dominant Tutsi minority have defined much of its post-colonial history. In 1972, following a failed anti-Tutsi rebellion, government forces massacred an estimated 200,000 Hutus — targeting young males and the educated — in a selective genocide. Among the massacred was Nkurunziza’s father, a Hutu governor and member of parliament. More than 300,000 Hutus fled the country, some forming rebel groups who would later fight in a civil war from 1993 to 2005 that left 300,000 dead, many of them Tutsis. The Xaverians arrived in 1964 and stayed through the vicissitudes, building schools, clinics and churches in times of peace, advocating fraternity during times of war. In September 2014, a tenuous peace reigned. Nkurunziza was coming to the end of his second term as president and facing growing opposition. Like several of Burundi’s political parties, his ruling CNDD-FDD (National Council for the Defense of Democracy – Forces for the Defense of Democracy) was a former rebel group, its leadership more familiar with the expediency of the gun than the tedium of governance. While Burundians were suffering from an increase in political violence, attacks on foreigners, especially religious, were very unusual. “We are used to living in situations that are a little bit dangerous,” said Sr. Silvia Marsili, who is vicar superior general of the Xaverian Sisters. This was especially true for Boggian, Pulici and Raschietti, who had spent most of their missionary lives in volatile South Kivu, the southeastern province of the DRC. Stretching north along the western shore of Lake Tanganyika, South Kivu is a repository for much of the violence in the Great Lakes Region. Refugees from wars in neighboring Rwanda and Burundi periodically overwhelmed the province, which is infiltrated with local and foreign militias. The Xaverians first arrived in the DRC in the 1960s, in the early years of the country’s independence from Belgium. Raschietti, Pulici and Boggian were there through the Rwandan genocide, the Burundian civil war, and the Congolese wars which killed an estimated five million people. Raschietti taught catechesis and did pastoral work, Boggian ran training schools for women and girls and programs in adult literacy, and Pulici served as a nurse and midwife. “Bernardetta was a sister’s sister,” Xaverian Sr. Laura Canali said. “She was not a very educated person. She did not do a lot of study, but I felt her always present.” It was Bernardetta who helped nurture a missionary project in Sierra Leone, and who reassured her fretting Italian sisters, accustomed to doing the cooking, that catered food would be good enough for the hundreds of friends and family members attending the community’s 50th anniversary. 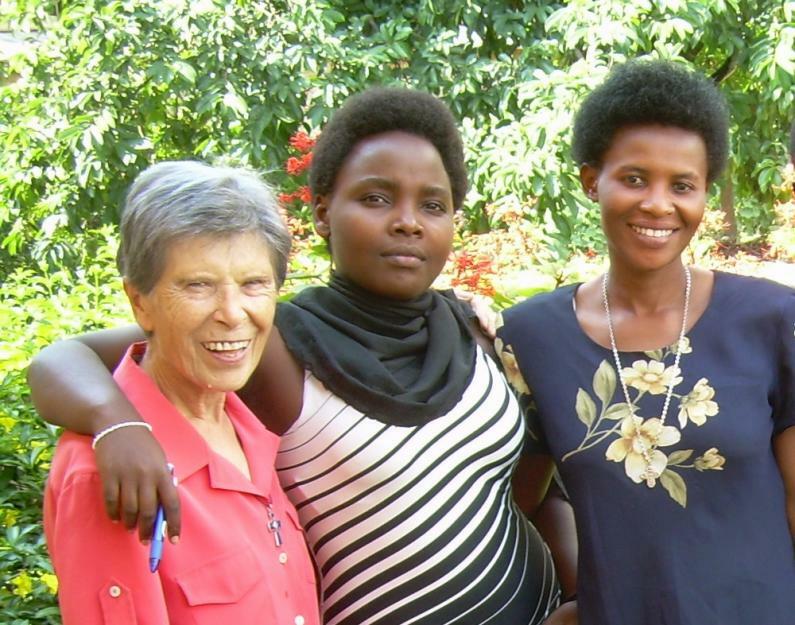 The Xaverian sisters left their South Kivu missions reluctantly. They wanted to stay “for the love of the people. If you leave, there is no hope,” Canali said. The order’s constitution invites women “to set a tent” among a people and share their joys and suffering. Raschietti, Pulici and Boggian had set theirs firmly in Central Africa. “Despite the complex and conflictual situation in the Great Lakes region, I perceive the presence of the kingdom of love that is developing, growing like a grain of mustard, of a Jesus present for all,” Boggian wrote in August 2013, on the eve of leaving the Italian motherhouse for Burundi. Instead of retiring in Italy, the women chose to go to the mission in Kamenge, a Hutu district similar to South Kivu. Boggian and Pulici* arrived in 2007, Raschietti in 2010. Failing health limited Raschietti and Pulici to simple pastoral ministries. The more energetic Boggian led a sewing project for young people. The Xaverians emphasize the sisters were not engaged in anything political or partisan. 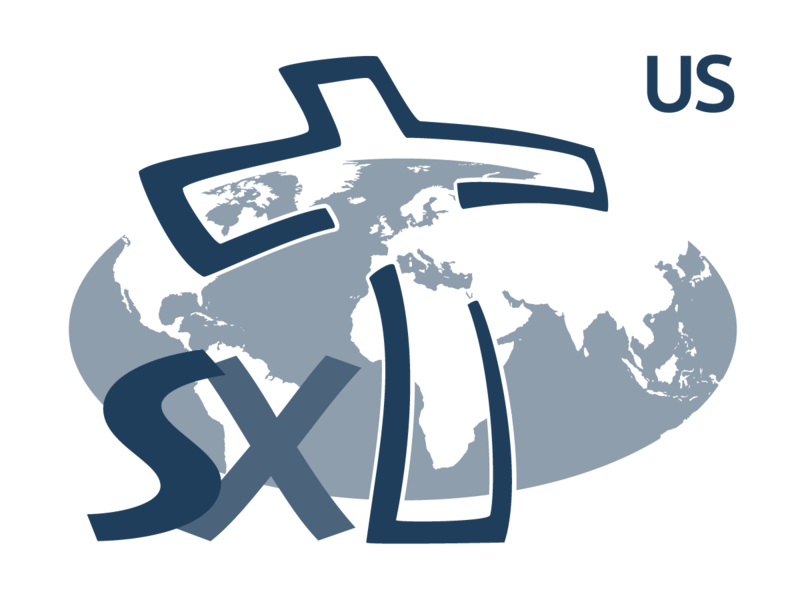 “They were just helping the poor, trying to be good to everybody,” Sr. Rosetta Serra told GSR. The attacks inside the modest convent in Kamenge were no ordinary crime. Their widely known details, including the third murder while police stood guard outside the missionary compound, indicated a targeted killing, provoking a vigorous clamor for investigation. Some journalists’ reports implicated the government. As Burundi’s electoral crisis worsened, the case of the murdered Italian nuns became a partisan pressure point. This complicated the Xaverians’ ability to come to terms with the killings. Months after the women’s deaths, the missionaries remained mystified as to why anyone would kill three, elderly sisters. “We just want to know what happened,” said Serra. In the international press, early accounts suggested the nuns were victims of a robbery, or killed by abusive husbands in Kamenge, upset because the nuns had assisted their wives. Nothing was stolen from the convent, and it seemed improbable that outraged husbands would kill the neighborhood’s cherished, elderly sisters, because Burundian culture is devout, and women and men religious are highly regarded. Within 40 hours of the sisters’ deaths, authorities arrested a handful of impoverished Kamenge males, detaining some, releasing others. They ultimately presented 31-year-old Christian Butoyi, a mentally handicapped man, whom neighbors described as “a fool,” as the primary perpetrator. Police said Butoyi was upset because the nuns had built their convent on his ancestral land. 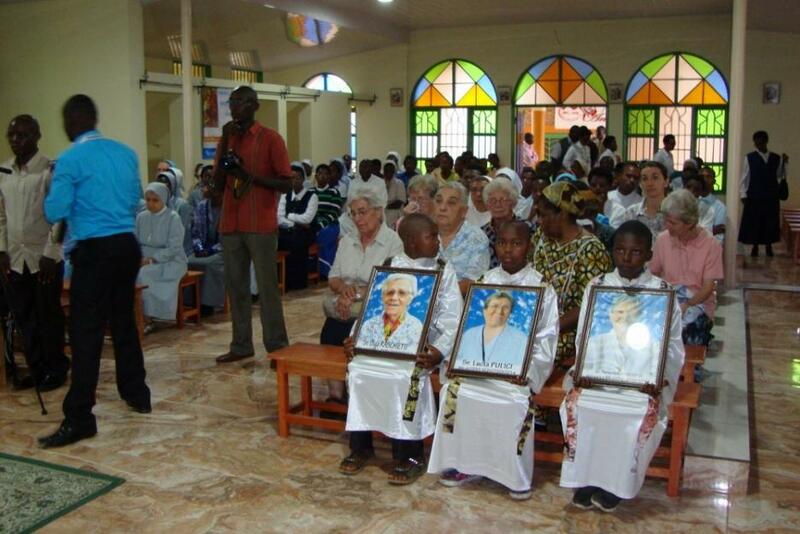 “The person arrested is an excuse to divert the investigation into the killing of our nuns,” Sr. Delia Guadagnini, former regional superior of the Xaverian Missionaries of Mary in the DRC, told the Fides News Agency (Agenzia Fides). In early 2015, Radio Publique Africaine** (RPA), one of the most widely listened to private stations in Burundi, began reporting on the murders, saying those who plotted them included high-ranking security officials like General Adolphe Nshimirimana, former head of the National Intelligence Service and former chief of staff of the Burundi army. RPA’s sources were two men who claimed they were hired to assassinate the nuns. In on-air confessions, broadcast in January and in April, they made allegations suggesting the nuns were victims of their locale, assassinated because the plotters didn’t want them to reveal information about illegal activities. The RPA confessors gave varying accounts of these illegalities, claiming the women were killed to prevent them from exposing: the trafficking of medicine and minerals into Kamenge from an area of the eastern DRC where the Xaverian Sisters operate a health clinic; the illicit training and arming of a youth militia of the ruling party, also happening near the clinic in the DRC; or alleged financial mismanagement at the Centre Jeunes Kamenge**. Xaverian Fr. Claudio Marano established the center during the civil war as a peacebuilding project for Hutu and Tutsi youth. One confessor alleged the priest and a center employee were at a meeting to plot the assassinations. Radio confessions are not uncommon in Burundi, an oral culture. Publicly speaking your sins can buy respect. And protection. RPA Station Manager Bob Rugurika said both men contacted him after their lives were threatened — and they had not received payment promised for the killings. The RPA allegations reverberated deeply throughout Bujumbura, especially among those opposing a third term under Nkurunziza. The general, popularly known as “Adolphe,” was widely feared, associated with human rights abuses. In 2014, he served as Nkurunziza’s senior advisor for internal security. The youth militia was also a known entity. Months before the nuns were killed, the press reported on the militia’s training exercises in the eastern DRC, raising fears the ruling party would once again deploy armed youth to attack the opposition, a tactic used in the 2010 national elections. Even the allegations concerning the Xaverian youth center in Kamenge referenced an actual conflict. One of Bujumbura’s most impressive operations, the center won the 2002 Right Livelihood Award for its work bringing together Hutu and Tutsi youth. Later, it reportedly become embroiled in controversy over finances: The Bujumbura archdiocese wanted the Xaverians to relinquish control of it, and Marano refused. After the January radio confessions, Burundian authorities arrested Rugurika, charging him, among other things, with violating the secrecy of an investigation. The journalist’s imprisonment sparked an immense public outcry and kept the Xaverian murders in the national and international spotlight. Not everyone was supportive. A pro-government news outlet denounced RPA’s report as nothing more than an attempt to undermine the Nkurunziza presidency in the eyes of the international community months before national elections. “It was a very high profile, even iconic case,” said Belgian researcher Tomas Van Acker, “one that touched upon the devoutly Catholic identity of many Burundians and the country’s unfolding political crisis.” Upon Rugurika’s release February 19, 2015, jubilant masses flooded the streets of Bujumbura waving palm fronds in celebration. RPA’s allegations did not result in an independent investigation. The missionaries have refrained from publicly insisting on an inquiry, and more than a year after the crime, police were still daily monitoring the Xaverian compound in Kamenge. But after RPA broadcast the allegations of the second confessor in April, the Xaverian Sisters issued a brief statement explicitly refuting each claim. By mid-2015, Burundi’s electoral turmoil overshadowed the Xaverian story. The crisis pitted President Nkurunziza’s supporters against those who say his July 2015 election to a third term violates the constitution and became increasingly bloody after a failed coup in May 2015. The offices of RPA and several other independent stations were attacked. Many journalists, including Rugurika, fled the country. Tortured bodies of opposition members began showing up on the streets of Bujumbura and in mass graves outside the capital. Top generals were assassinated, including Adolphe, who was gunned down at a Kamenge intersection August 2, 2015, blocks from the Xaverian convent. In an email to GSR, Sr. Felicite Begirimana, secretary to Burundian Nuncio Wojciech Zaluski, wrote that under canon law the Vatican does not investigate a missionary’s death until the congregation completes its own inquiry. Instability in Bujumbura makes a local inquiry very unlikely. RPA’s two radio confessors are believed to be in jail. The mentally unstable Butoyi, whom the police accused, was reportedly sent to a psychiatric hospital in February 2015. Until recently, the government maintained he was the crime’s primary perpetrator. Then in March 2016, a state-owned television aired allegations that a member of the opposition had ordered the assassinations to discredit the president in advance of the 2015 elections. The Burundian government did not respond to several e-mail requests for comment sent to the embassy office in Washington D.C. 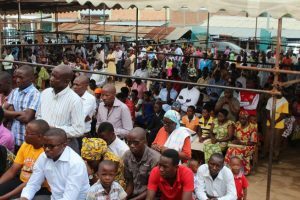 Despite the circumstances the Xaverian missionaries have not left Burundi. “Make of the world one family,” Xaverian founder Guido Maria Conforti urged his followers. The task entails reckoning with the realities of the place one inhabits, even vicious and unexplained deaths. Faith has helped these missionaries navigate the bitterness that follows violence and given them a wider lens for understanding who killed their nuns and why. Was it political ambitions or corruption? Trauma has affected this community. Xaverian Fr. Pulcini, who found the women’s bodies, admitted enduring a spiritual crisis. In his decades of working in Burundi, Pulcini, 69, endured death threats, had his car shot at, and buried fellow Xaverians executed during the civil war because they advocated for co-existence, he said. The Kamenge killings were the hardest experience of all for him. January 23, there was a consecration of the Chapel of Peace and Mercy at the Xaverian compound in Kamenge. Hundreds of people attended, including religious from around the Great Lakes Region. In the church across the alleyway, Kamenge parishioners packed the pews. Radio Maria, Burundi’s Catholic station, was there broadcasting Pulcini’s homily across a city at the edge of war. Among those listening could well have been some who knew the full story behind the murders. The new chapel was a “living monument” to the peaceful presence of the three sisters, who welcomed everyone in their convent, the priest said. In constructing it, walls were torn down literally and figuratively — “walls of hatred, vengeance, ethnic or political violence” in order to create a holy place “where it is possible to forgive and receive forgiveness,” he said. I thought the case was solved. Like many murders it remains a mystery. Sometimes things like this make you wonder what was in the minds of the murderers at the time they were doing it and yes what was on their minds afterwards is even a more important question? Was there remorse? 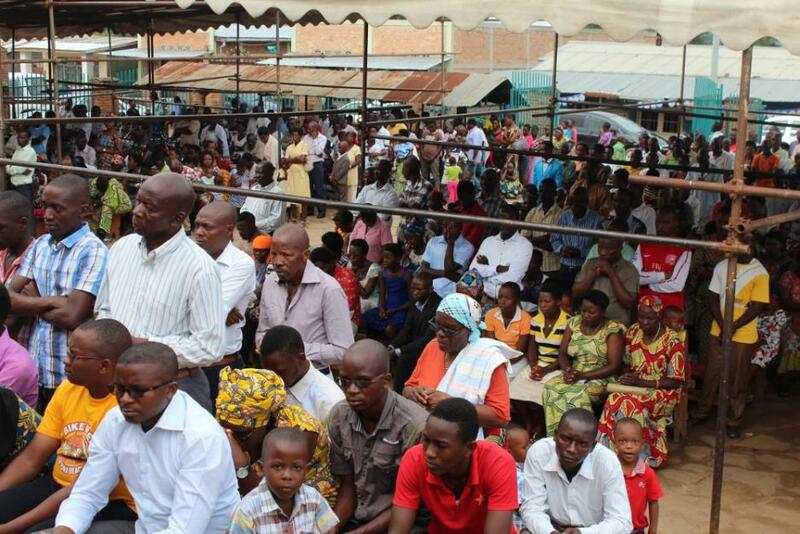 I think the decision of the Xaverians staying in Burundi is noble and what Fr. Pulcini said that we are Africans may be the reason why they remain. They are blessed to have martyrs like you. Prayers for the Xaverians all over the world.